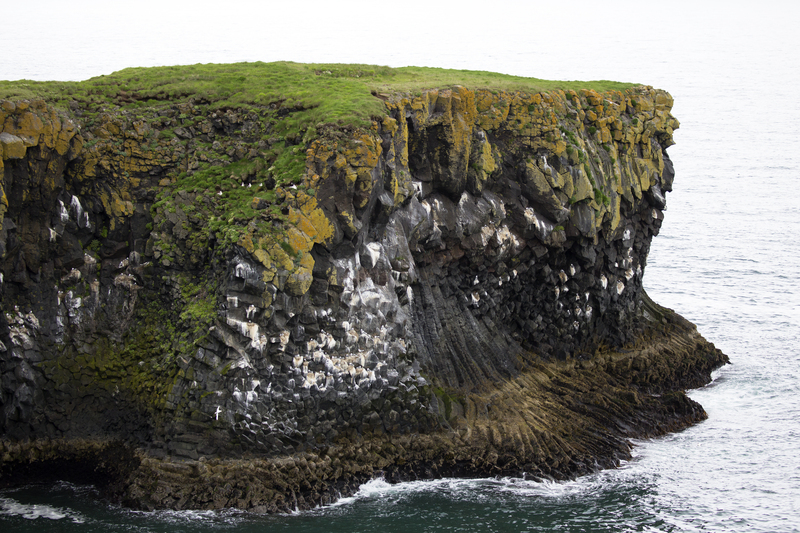 Arnarstapi Bird Cliffs on Old Volcanic Lava Flow. Green vegetation, yellow lichens, and white where bird nests are located. Snaefellsnes Peninsula, 3 hour drive northwest of Reykjavik, Iceland.